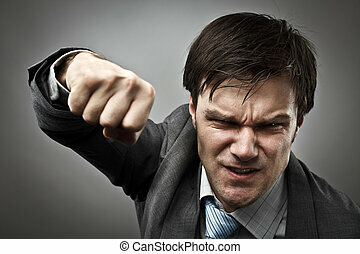 Aggressive management. 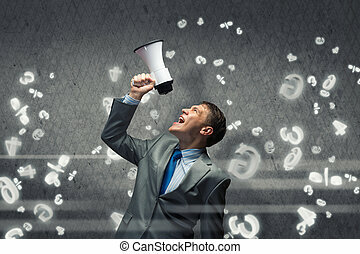 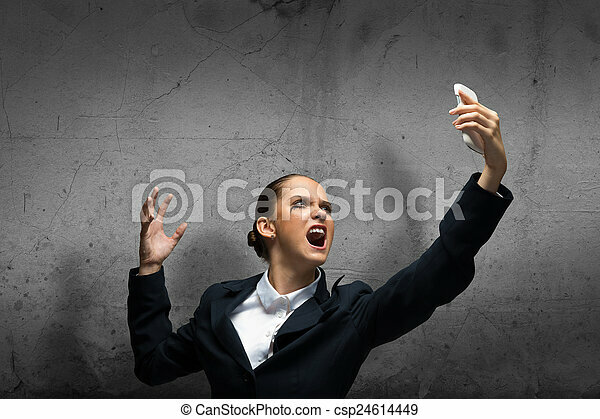 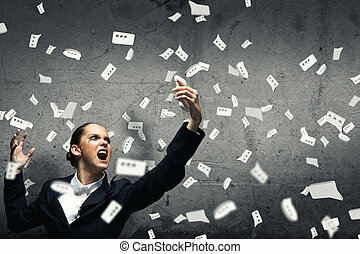 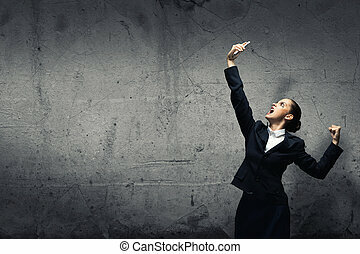 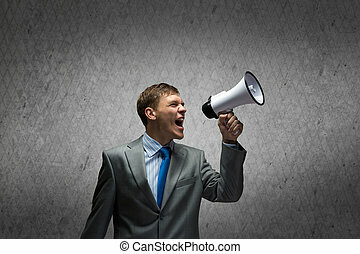 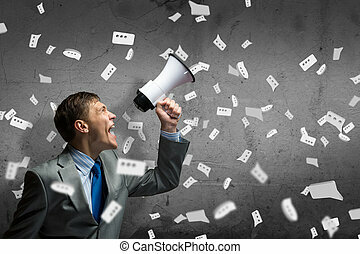 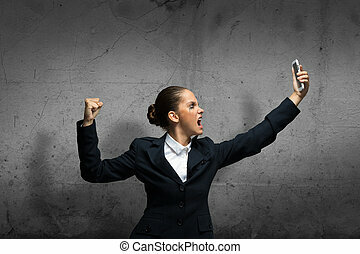 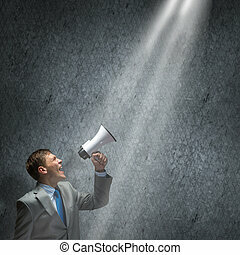 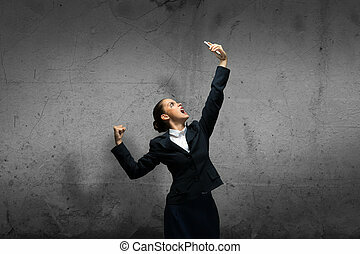 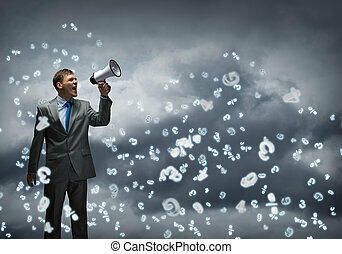 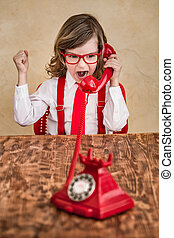 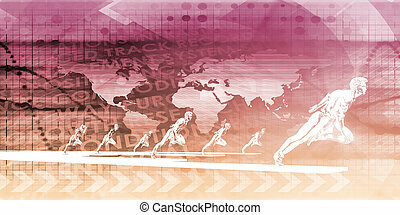 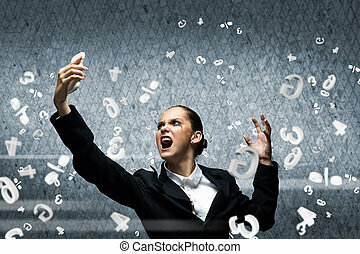 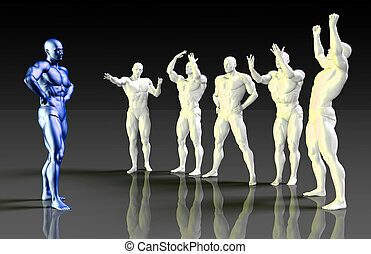 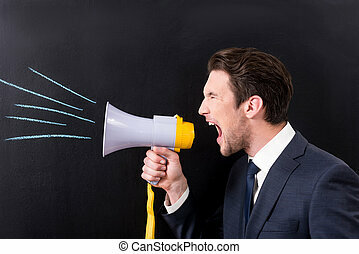 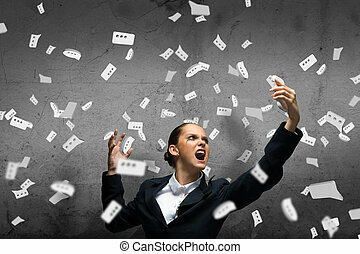 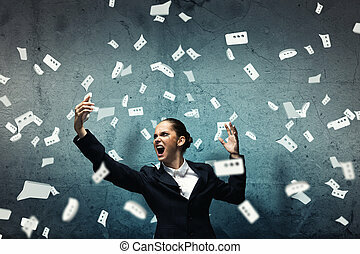 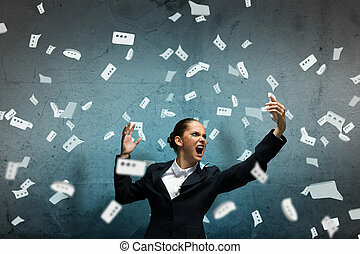 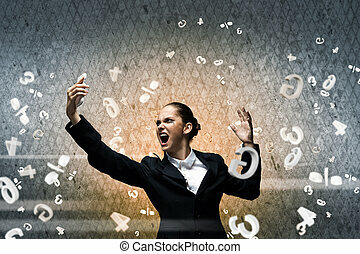 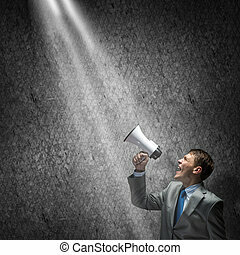 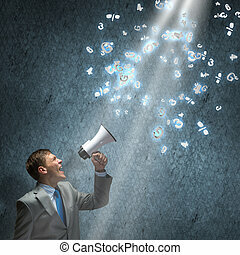 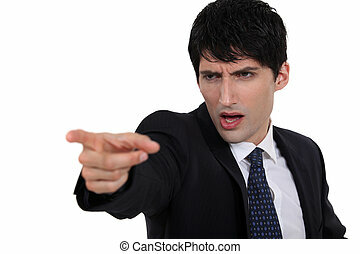 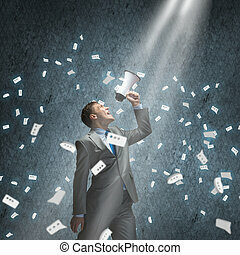 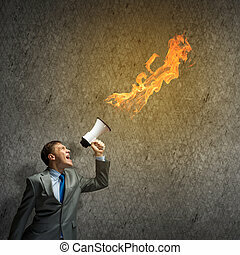 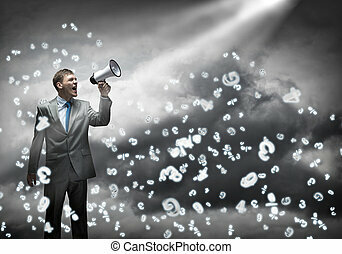 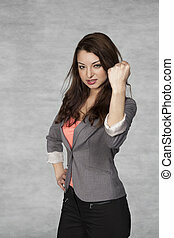 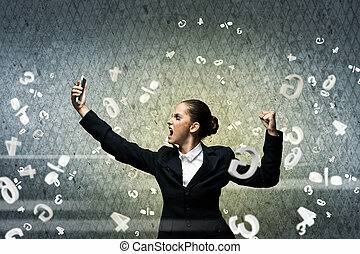 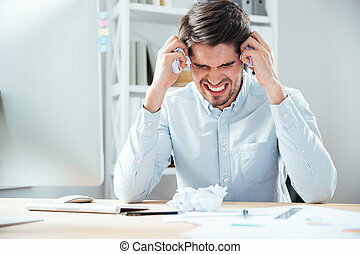 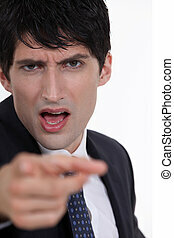 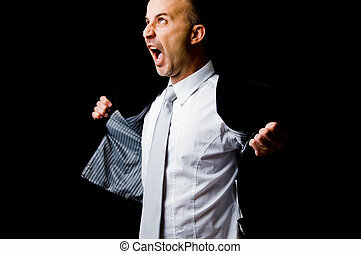 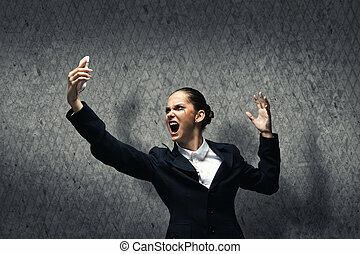 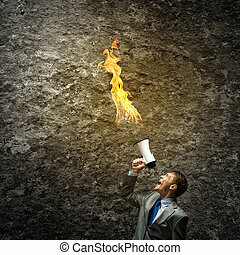 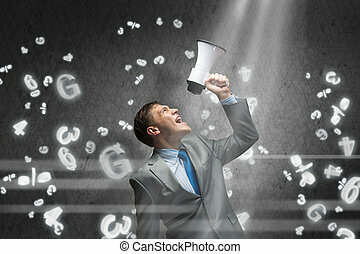 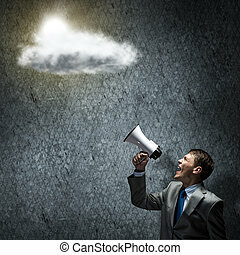 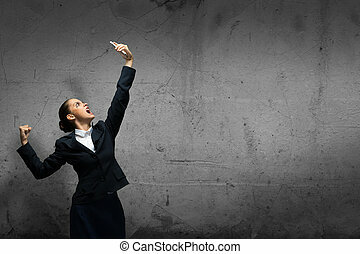 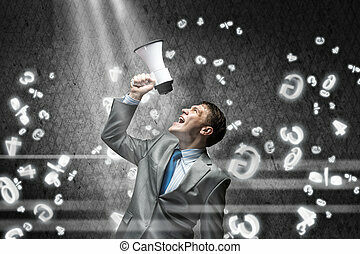 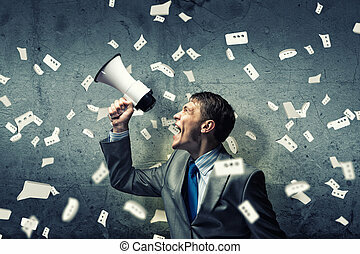 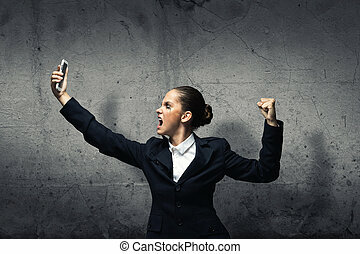 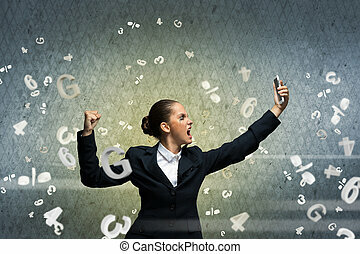 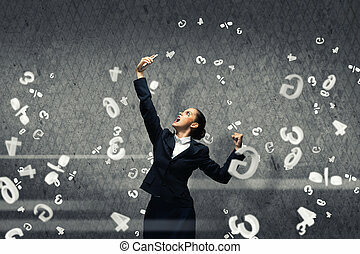 Young aggressive businesswoman screaming in mobile phone. 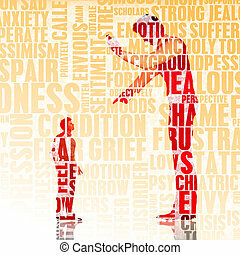 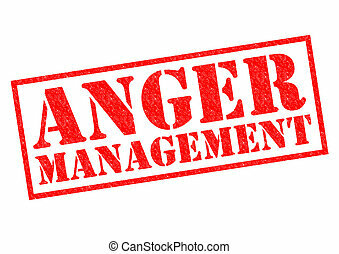 ANGER MANAGEMENT red Rubber Stamp over a white background.